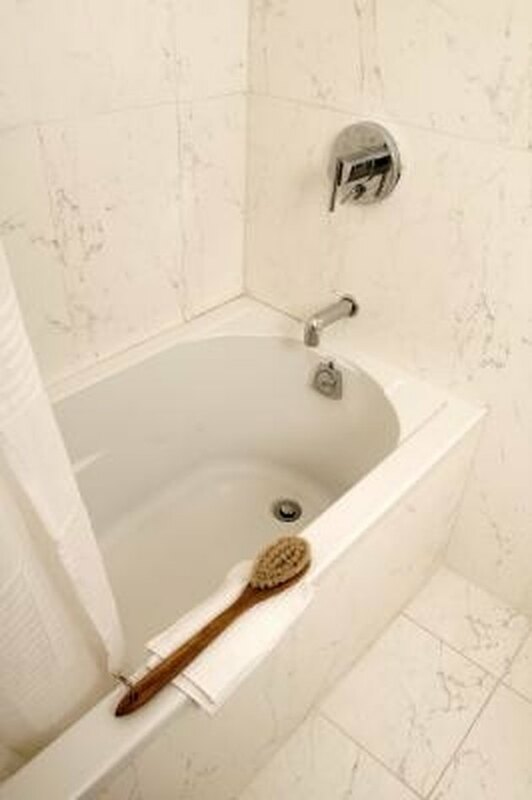 White fiberglass bathtubs are commonplace in most of today's homes. These tubs look great when they are clean, but if they stain or begin to change color, it is quite obvious. 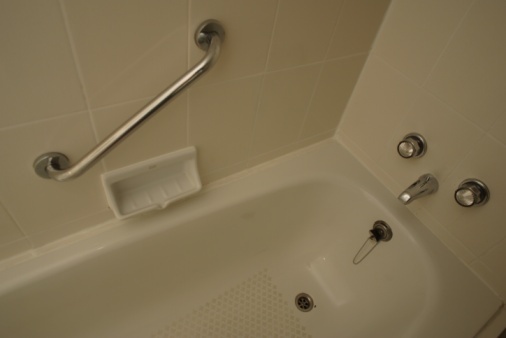 When you clean your fiberglass bathtub, be sure to use a nonabrasive scrub brush. Dilute the hydrogen peroxide with an equal amount of water. Combine this mixture with an equal part of cream of tartar. For example, combine 6 ounces of hydrogen peroxide and 6 ounces of water with 12 ounces of cream of tartar. Apply the mixture to the stained portion of the fiberglass bathtub and allow the mixture to dry. Using a nonabrasive scrub brush, clean the mixture off the stained portion of the tub. Rinse the cleaned area thoroughly with warm water. Can I Use an SOS Pad on My Bathtub?